The newest book from Andrew Clements turns into a celebration of books. There have been MG novels about kids who hate to read (Charlie Joe Jackson’s Guide to Not Reading), but this is about Alec, a boy who loves to read so much he has his nose in one all hours of the day. It has become a problem in class when listening or participating takes a back seat to the next chapter he’s reading. Written in third person, the tale is set in Bald Ridge Elementary where Alec is a sixth grader. His trips to the office for “disturbing” the class with his reading have reached epic proportions. It’s time for change. Alec must keep his grades up and balance that with his love of reading. His solution will have him forming new friends and discovering that books really do have the ability to heal. It’s an anthem for all bookworms and those of us who like realistic stories of school life. I smiled every time Alec mentioned or was reading a book I had read. I was rewarded even more when in the back pages I found a two and a half page checklist of all the books talked about in the story. School life as portrayed here is spot on. Kids will see themselves in many of the characters and find comfort in discovering ways to solve their own problems. Yes, another bully appears in the story but Kent shows us another to his commanding ways and its through a book that provides some much needed bibliotherapy. Thirty seven manageable chapters that would be a great read aloud in the classroom or at home. A perfect ending is hard to pull off but THE LOSER’S CLUB does it in a winning way. Alec was about to guess eleven—but then decided he’d better keep his mouth shut. He shook his head. 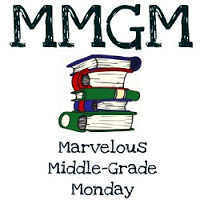 This entry was posted in Reviews and tagged Andrew Clements, male protagonists, Marvelous Middle Grade Monday, Middle Grade Book Reviews, The Loser's Club. Bookmark the permalink. Sounds like a great read. I always read as a kid so I could relate to this. And awesome that the main character is a boy because we don’t think about them as reading so much as girls. “Reading isn’t a team sport.” I love that. Weirdly enough, when we were kids, my friends and I would have sleepovers and spend part of that time together just reading our separate books! I’d love to read this story. I was like Alec, but not to the extreme. I always snuck books out of my desk in elementary school and under my choir robe in church and would read, especially during subjects I disliked or boring sermons. Got caught and scolded many times. What a fun book that helps kids put things into perspective for themselves..
My kind of kid. My nose was always stuck in a book growing up. I do love books that have readers at their center. This sounds like a real winner. Thanks for telling me about it. I’ll be looking for it. This book sounds really fun! I will definitely try it. Thanks so much for the recommendation!